New Delhi : While studying the inside-out of the Earth, astronomers have spotted a mysterious "empty trash bag" floating above Earth. Astronomers who have spotted the object believe that it is a satellite which seems to be several metres across, but is extremely lightweight. The strange floating object is probably a piece of light material, such as metallic foil, that has been left over from a rocket launch. But it is not clear what rocket launch the object known as A10bMLz could have been launched from. Currently, the object is floating on a strange, highly elliptical orbit. Sometimes it comes as close as 600 kilometres from the Earth, but it swings around to be 1.4 times as far out as the Moon. Just because of its small weight, A10bMLz is very susceptible to radiation pressure from the Sun. That means its orbit changes "chaotically" on a scale of days to weeks, according to the London-based Northolt Branch Observatories (NBO) that analysed it. For now it is impossible to fully predict where it might be flying. It is being buffeted around in space like a plastic bag might be in the wind. The object could enter again in the Earth's atmosphere within a few months, for example, or might continue to fly around the Earth. 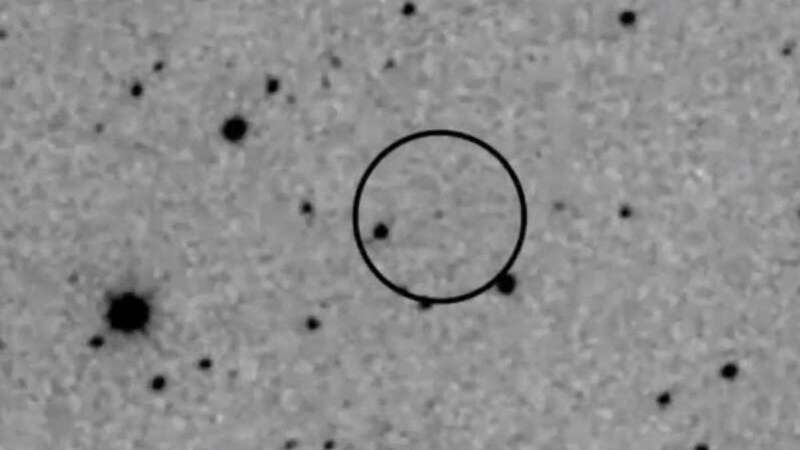 The floating 'empty trash bag’ objects have been spotted before, but this is the first one that has ever been seen drifting at such a distant orbit. The mysterious object above the earth was first seen by Hawaii's Asteroid Terrestrial-impact Last Alert System (ATLAS) telescope. Further, astronomers confirmed that the object was very light but relatively wide, as well as its strange orbit.